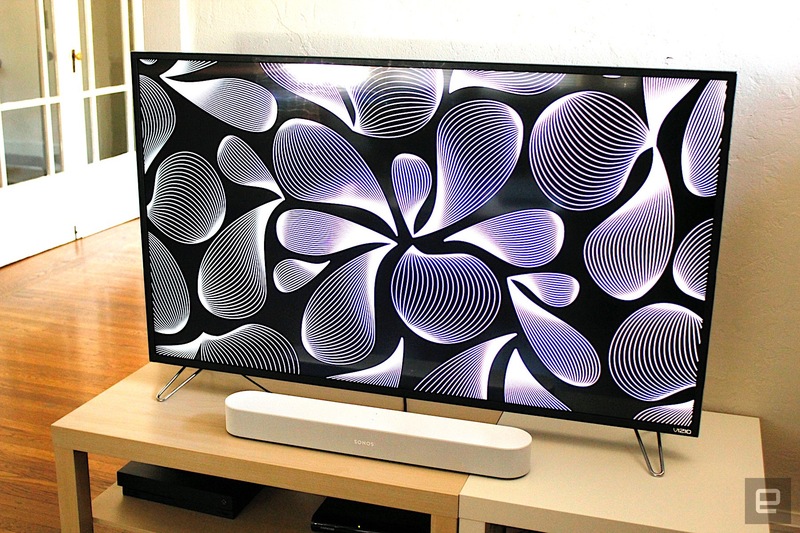 Bringing the soundbar into the smart home era. Sonos has earned itself a dedicated army of enthusiasts. And with good reason, too: The company pretty much defined the multiroom/connected speaker space, bringing home audio into the internet era. So, it's no surprise, then, that when rumors of a new product appear, forums and fan pages start to fill up with theories. If you’ve been tempted to get into Sonos, but weren’t sure where to start, the Beam is for you. Not only is it a relatively affordable, solid speaker in its own right, it is a capable soundbar and Alexa assistant rolled into one. For serious movie buffs, you might want to consider the Playbase or Playbar depending on your needs. Either way, the Beam shows that Sonos is thinking beyond music, and how it can fit into every aspect of the modern home. How would you rate the Beam? Amid the excitement this time, though, was some confusion. The rumors indicated the new speaker would have an HDMI port (a pretty strong indicator it would be home-theater-focused). But Sonos only released the Playbase just last year. The company's other AV product, Playbar, was looking pretty long in the tooth at this point, so many theorized it would be a replacement for that. Those theories were close, but also wrong. We ended up with the Beam, another soundbar that lives alongside the Playbar and Playbase in the Sonos catalog (for now). It's smaller, smarter and better-looking (if you ask me) than its siblings. But is the Beam the one you want? That depends. 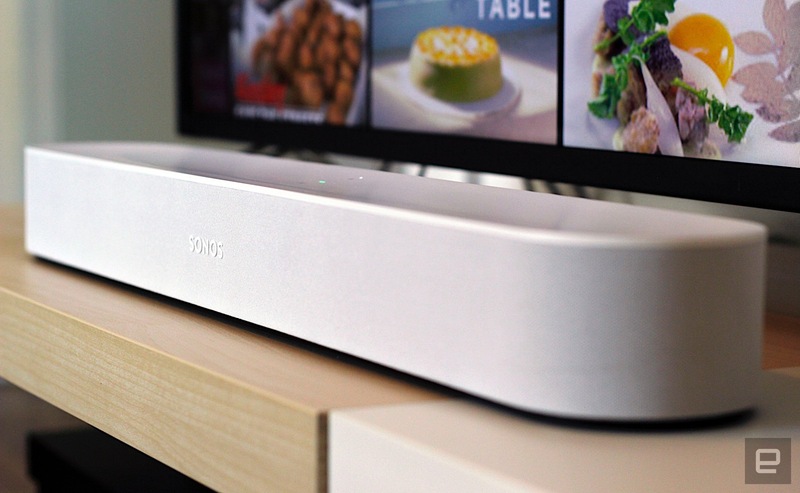 In a nutshell, the Beam ($399) is a soundbar for small to midsize living rooms. 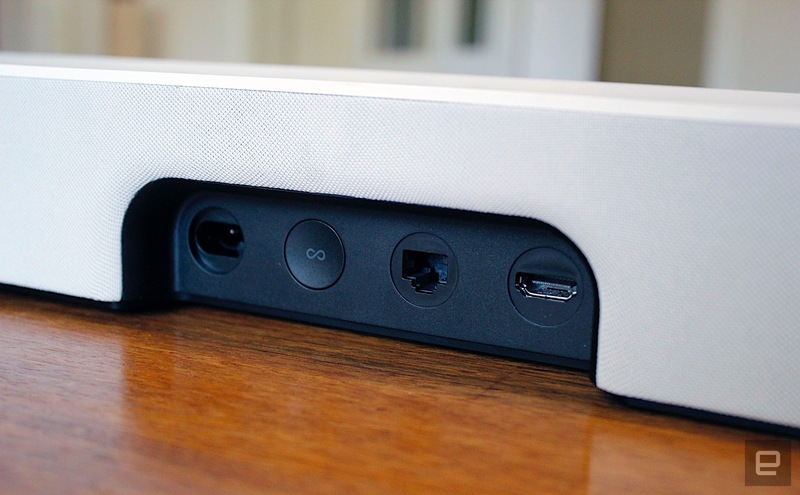 It has a much smaller footprint than the Playbar ($699) and Playbase ($699) and comes with an HDMI (ARC) connection, which the other two lack. This is important as it allows the Beam to control your CEC-enabled TV, while the other two rely on the audio-only optical connection. (The Beam ships with an HDMI-to-optical adapter if that's your preference.) I should probably mention at this point that the Beam, like the One, also has Alexa built-in, which means you can control your TV entirely hands-free. I will never tire of saying "Alexa, TV on." At this point you might be wondering, if the Beam is cheaper and has two killer features the other home-theater products don't have, then that makes it the one to get, right? Well, maybe. For all the Beam's fancy new features, it does contain fewer drivers. This means it's not quite as acoustically capable as the other two. Which, given that this is an audio product, is not a nitpick. At 25.6 inches wide, the Beam is pretty small. That's a plus for fans of minimalist living spaces. It's also sleeker than the Playbar, which isn't hideous but hasn't aged well. The Playbase has similar design language, but the flat-pancake look doesn't work well with every TV. The Beam, however, kinda disappears into the background. So, it's a soundbar, we get it. But it's also a regular Sonos speaker, which means you get access to all your favorite streaming services on the same device. That's a pretty good twofer. Sonos essentially made that a "threefer" by baking Alexa right in. If you already have an Echo, you can move it to another room or ditch the ugly thing altogether. I've set up a Sonos system before, so knew what I was getting into, but if you haven't, don't fear -- it's pretty easy. The mobile app will walk you through the process, and you just have to make sure everything's plugged in, and press a button on each speaker. Connecting to the TV was as simple as plugging the Beam into the HDMI (ARC) port. Now my TV's remote controls the volume on the Sonos without any additional settings required. Personally, I'm new to Alexa, but I can definitely see how her presence here is a big selling point. Now the Beam becomes the gateway to my smart home as well as a capable audio system. Sonos didn't just squeeze in Amazon's assistant (other smart assistants are coming) as an afterthought -- it did it in a way that really works in tandem with what you need from a smart speaker. The best example of this is controlling your TV. Being able to turn the TV on/off with your voice works like a charm, but you can also control the volume without having to lift a finger. If your TV's manufacturer has created a specific Alexa skill, you can do even more. My TV is a Vizio; there's an Alexa skill for it, but it's pretty limited. I can change the HDMI input, navigate directly to the TV's built-in app screen or pause/fast-forward/rewind streaming services. To be honest, fast-forwarding with voice works OK, but Alexa's response time isn't good enough, so you tend to overshoot. Still, it's nice added functionality. Even if your TV doesn't have an Alexa skill, there's a chance you can still do the basics (on/off etc ...) as long as your set is CEC enabled (most modern ones are). If you really want the full voice-control experience and have a Fire TV device, you're in luck, as you can ask for TV shows and movies by name. I don't have a Fire TV, but for the first time, I'm considering buying one. For those who prefer good ol' buttons, there are basic controls on the devices themselves for pause/play/volume and linking speakers. The voice controls are also designed to work seamlessly. If you start a playlist via the Sonos app, you can have Alexa skip to the next track, without having to specify on what device or from what streaming service "it just works." You could also start music from a Sonos-enabled app (like Pandora) and then switch to voice control. At this point, I'd love to tell you how the much-wanted AirPlay 2 support fits in. Alas, at the time of writing it's not quite ready for prime time, but Sonos says the update should roll out by July 17th. During my demo of the Beam at the launch, I was impressed with how robust it sounded. Controlled demos are one thing, but real-life testing is another. My apartment is midsize, and my living room is a strange orientation. My TV sits in one corner, but facing straight forward, the other half of the room is where my front door and entranceway is. Even in this configuration, the Beam fills the space with sound. But I can tell it's not as beefy and acoustically capable as, say, the Playbar. The Beam's smaller size means there's only room for five drivers/speakers inside. Four of which are "full-range," and there's a tweeter slap bang in the middle. This means those four full-range drivers are doing the work of a subwoofer too, and you can tell that by the slight lack of bass. Don't get me wrong: If you jack the Beam up, you'll certainly annoy your neighbors, but it does take the edge off of action movies, for example, when played at a modest volume. The same is mostly true for music. That central tweeter really helps vocals punch through and feel more natural than on a non-music-focused soundbar, but if you're cranking out the drum-and-bass or chugging metal, you might find yourself diving into the EQ settings to ramp up the low end a little (which mostly makes up for any deficiency depending on your taste). You can, of course, enhance the sound to work with your room via Trueplay, which is recommended if you have an iOS device. I also noticed that when watching sports (the World Cup, in my case), that the driver configuration puts the focus on speech/commentary (which makes sense). For me, though, I love to hear the roar of the crowd or the in-stadium announcer for added atmosphere, and in this case, they were slightly lacking. Two of the drivers are angled at 60-degree pointing outward, so whatever you're watching, you'll get a wider soundstage than you'd expect from a speaker this size. It's pretty impressive, but true cinema buffs with the floor space might want to consider ponying up for one of Sonos' larger home-theater offerings. If you go with the Beam, you can upgrade it over time, but it'll cost you. If you stick two Sonos One's behind your couch and throw in a Sub, your setup becomes a surround sound system that will probably blow your socks off. With the Sub alone costing an additional $699, it's not for the faint-hearted. A good compromise would be to just add the pair of One's. Sonos sells the One in pairs for $379, which is more palatable. Or you can just go ahead and by all three (two One's and a Beam) together for $649 right off the bat. Incidentally, that's still cheaper than the Playbar, Playbase or the Sub on their own ($699 each). If you go that route, you have the option to put the smaller speakers in different rooms, if you decide a surround setup isn't for you. If I've made it sound like the Beam is lacking in sound compared to most soundbars, it isn't. It's just that with two similar products on its roster, you'll likely be wondering which one is best for you, and it's a conundrum. The Beam looks great and has Alexa, HDMI and AirPlay 2 support. That's pretty tempting right there for $399. The Playbase will get AirPlay 2 support, and can still work with an Echo if you have one (or spring for one). If your TV is wall-mounted, that's when you might still be eyeing up the Playbar. Unfortunately, you're out of luck on the AirPlay 2 front, but Alexa is still an option if you have the extra hardware. For the rest of us, the Beam is a solid contender that solves a lot of problems in your living room. 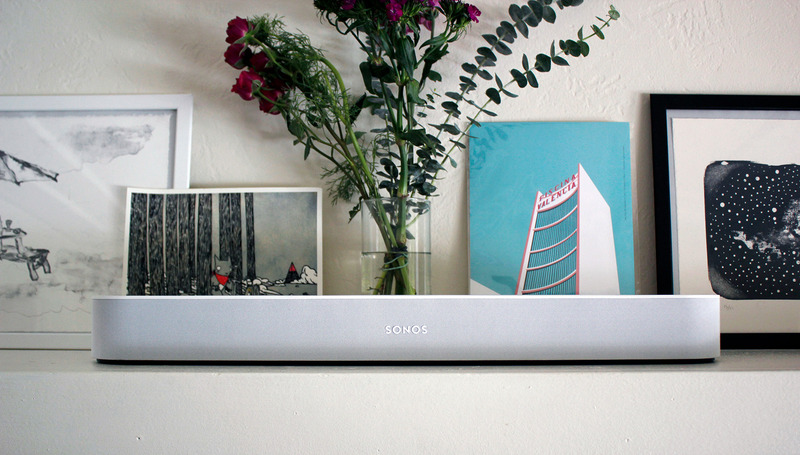 Not only is it a competent soundbar, it's also a great entry point into the Sonos ecosystem. The price point is reasonable, and you'll be getting a bunch of smart-home features in the mix to boot (I haven't turned off my smart light bulbs via the app since installing the Beam). 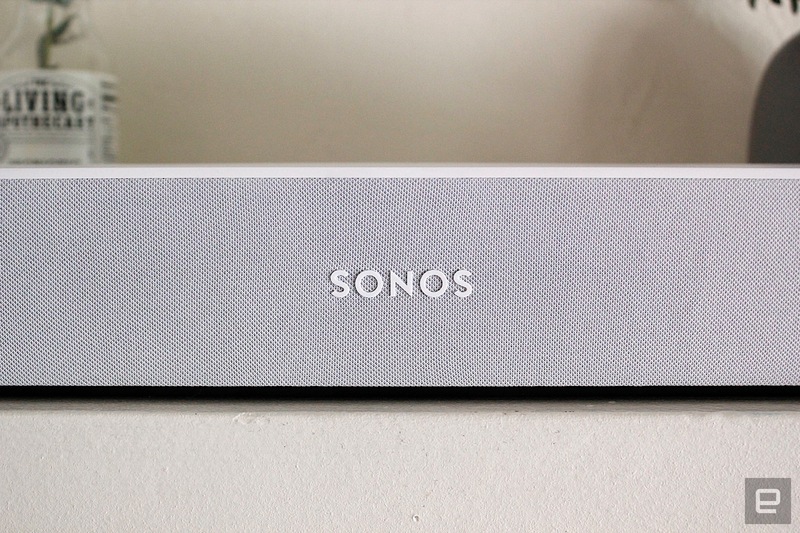 And with support for more assistants in the pipeline, you can also be sure that your Sonos will get better over time.